At Newport Natural Health we develop the highest quality natural health supplements. Our natural supplements are cutting-edge and formulated by a practicing medical doctor to help with a variety of health concerns. 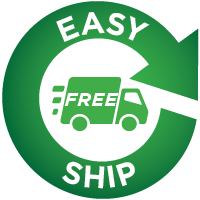 Get FREE Shipping and Save Up to $83! Never pay for shipping as long as you're enrolled. Save up to $83 per year. Never be subject to price increases as long as you're enrolled. Never run out because we'll automatically ship your products on a 90-day schedule. You have complete control to change, pause, or cancel your automatic shipments at any time.